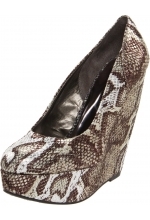 Give a normal shopping day a party vibe with the Fossil Malea Wedge Slide sandal. 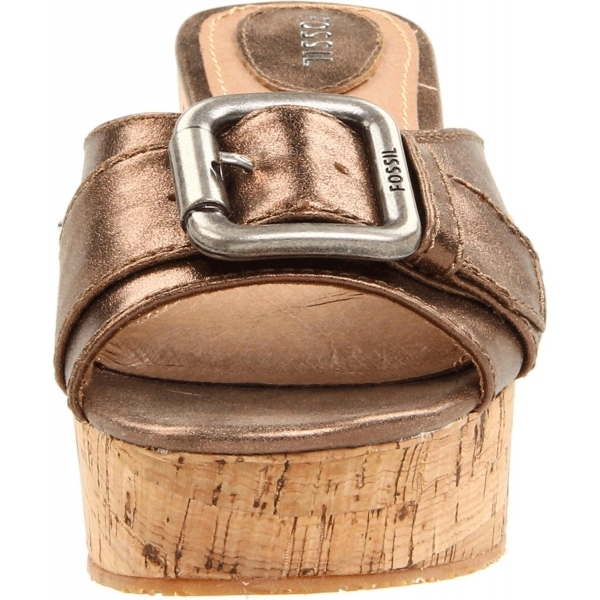 Accented with a bold buckle-strap detail, this women's platform wedge sandal adds instant elevation to any ensemble, with a metallic leather upper atop a chunky, retro-cool cork midsole. 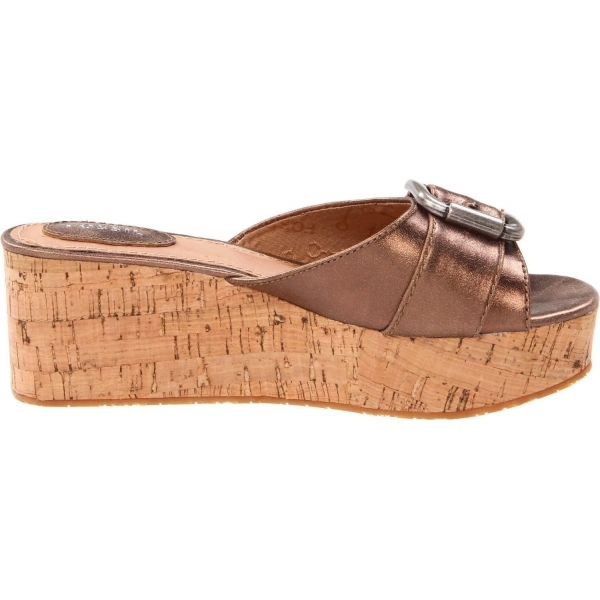 A lightly cushioned footbed provides supportive comfort, while a logo-print rubber sole and inclined forefoot stabilize your stride in the Fossil Malea Wedge Slide sandal.